Ten Bears, nine bears, eight, seven etc. Now only two bears are left, who have begun a new band called Swiss Lips, esteemed purveyors of party-pop. "Party-pop" probably doesn't sound that enticing but I assure you, it's a lot like that first time you got on a bouncy castle - i.e bloody brilliant. Listen to a couple of tracks from Manchester's newest bestest band (...till next week at least...) below. The Swiss Lips sound is very much in the electro-pop vein, and listening to future hits 'Grow' and 'U Got The Power', it's easy to compare the band to the likes of The Sound Of Arrows, Foster The People and first-album-MGMT. If you don't like those bands or bouncy castles, then stay well away. For the rest of us "cool kids", we're going to jumping around to Swiss Lips for a while yet. Check out the appropriately dance crazed video to 'U Got The Power' below, which you can also download for free. The video reminds me of that old Vin Diesel breakdancing clip, while some of the lyrics remind me of the boyband classic 'Got The Feelin'. I'm not sure how that makes me feel. Listen also to the shimmering, life-affirming anthem 'Grow'. 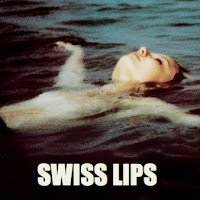 Find more on Swiss Lips at swisslips.com.